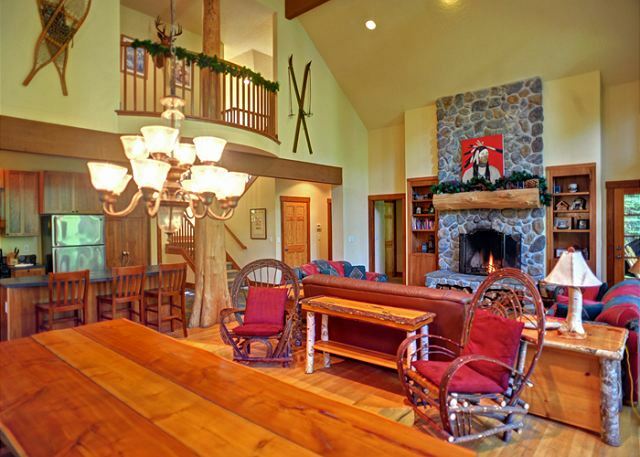 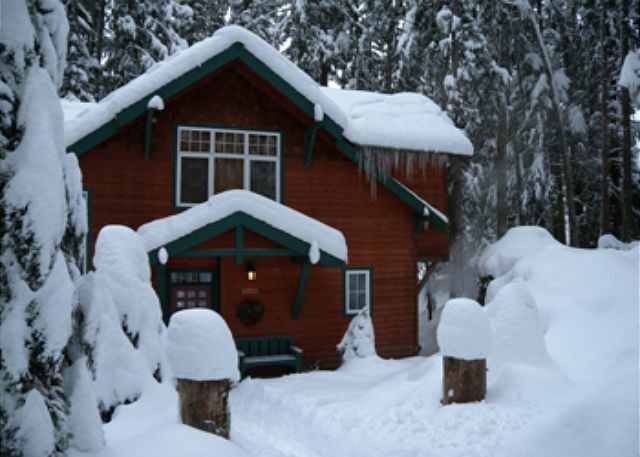 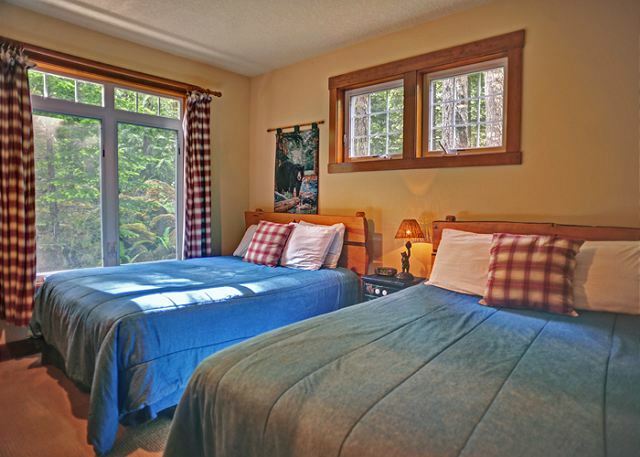 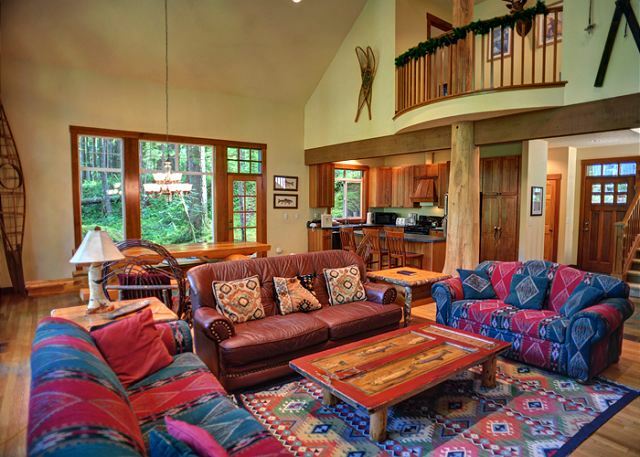 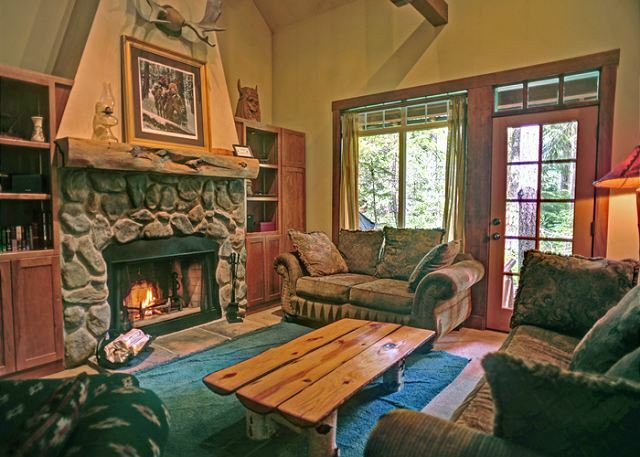 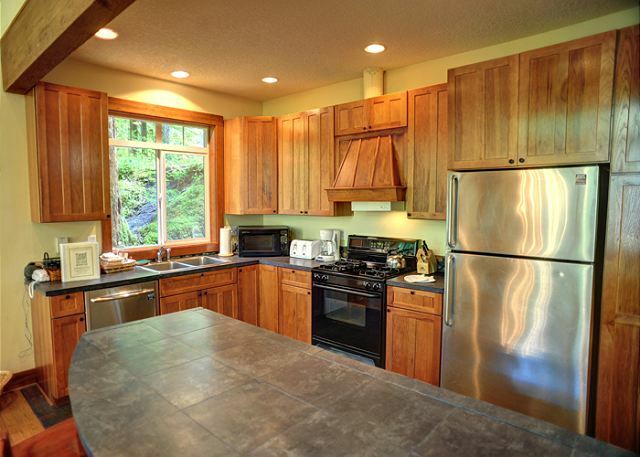 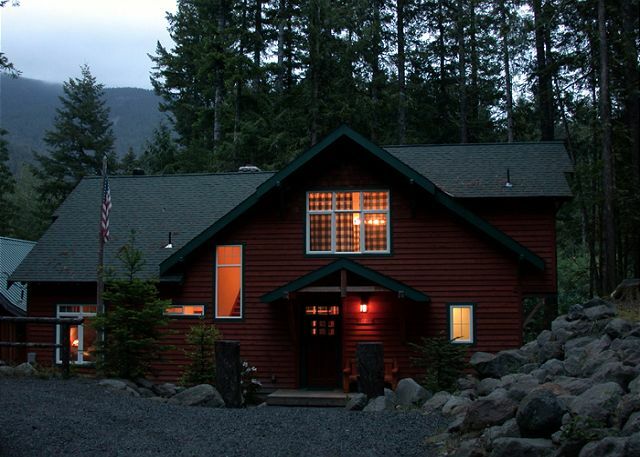 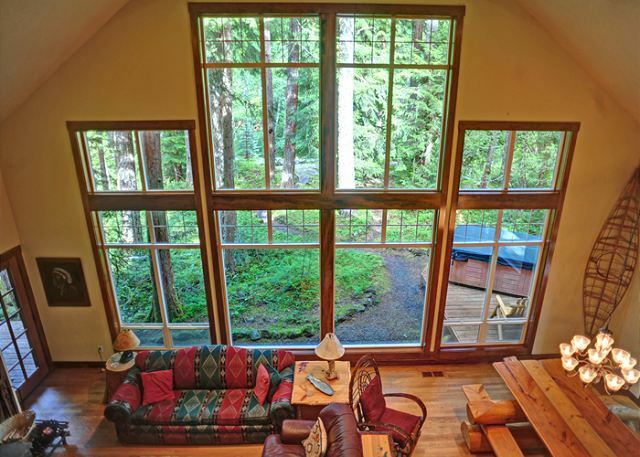 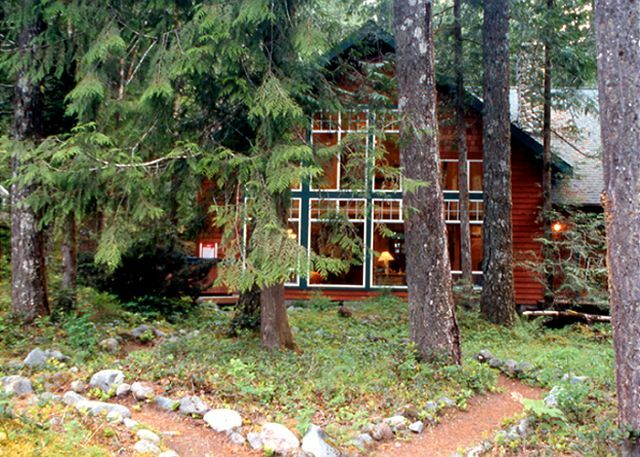 River Rock Lodge is a beautifully designed and artfully constructed lodge on the Zigzag River with vaulted ceilings, floor-to-ceiling picture windows and lots of natural mountain touches. 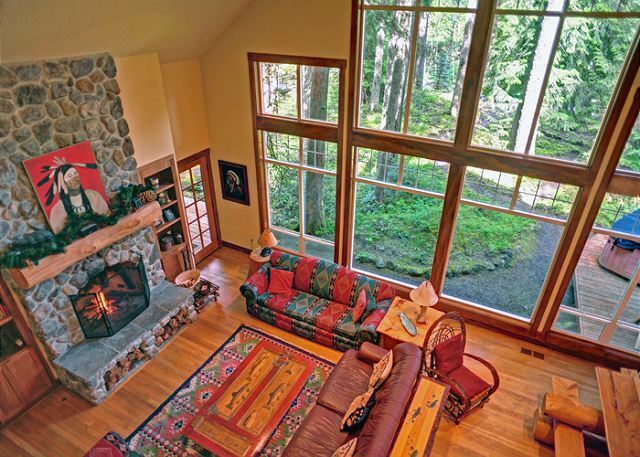 Special features include two river rock fireplaces, one in the living room and a more intimate fireplace in the family room. 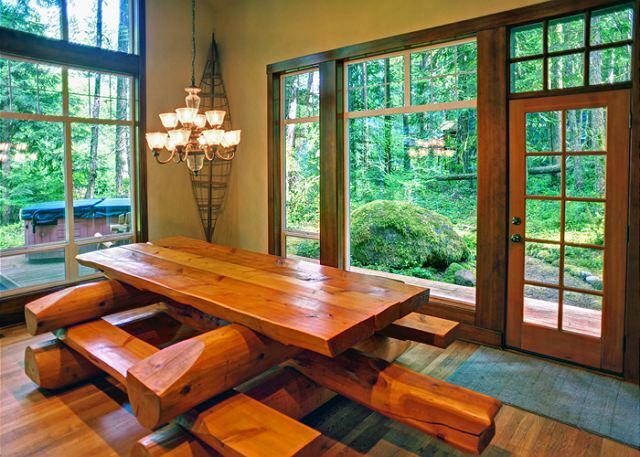 Gather your friends and family in the great room for a delicious meal shared around the custom log dining table while taking in the forest and river views. 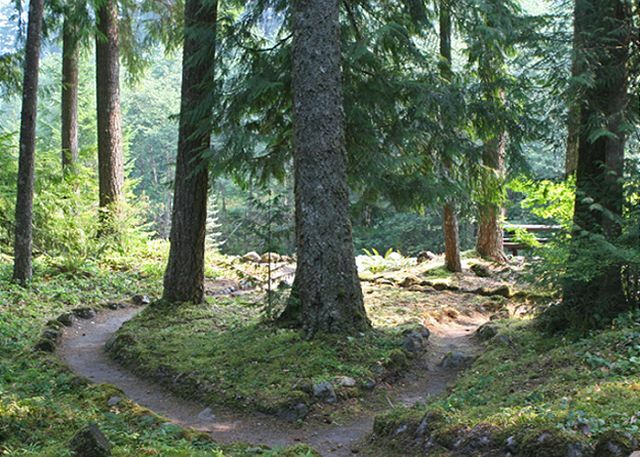 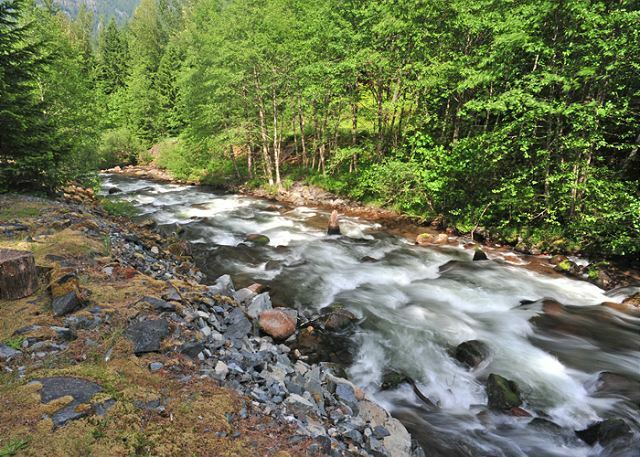 You can hop on your mountain bike just out the front door and head off to several forest service roads or the Pioneer Bridle Trail for the more adventurous. 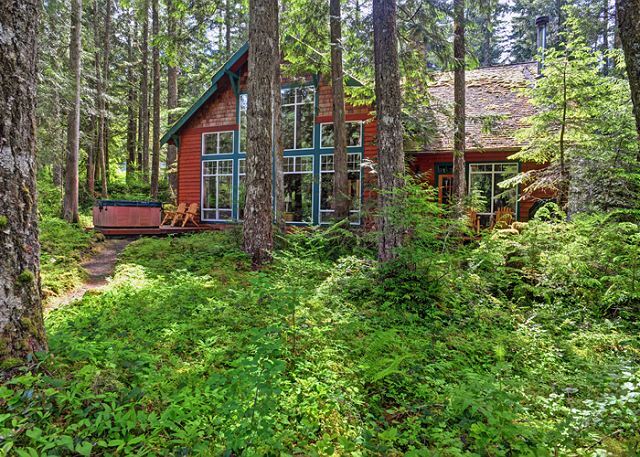 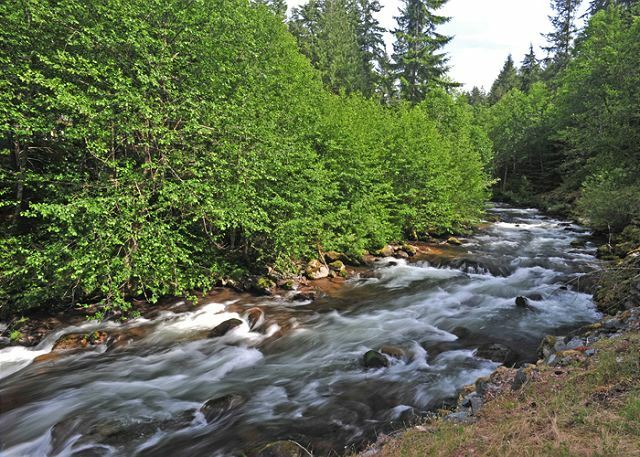 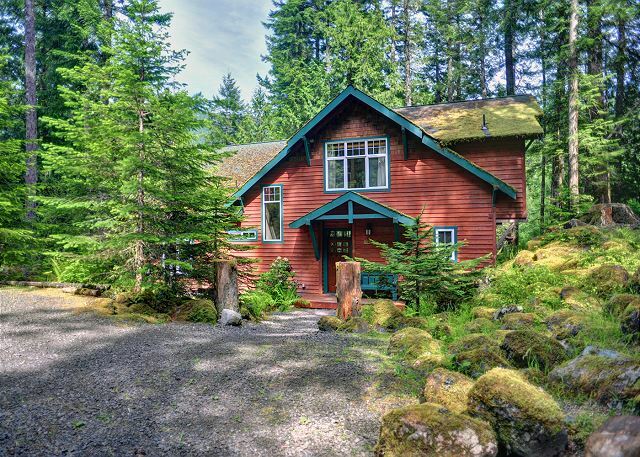 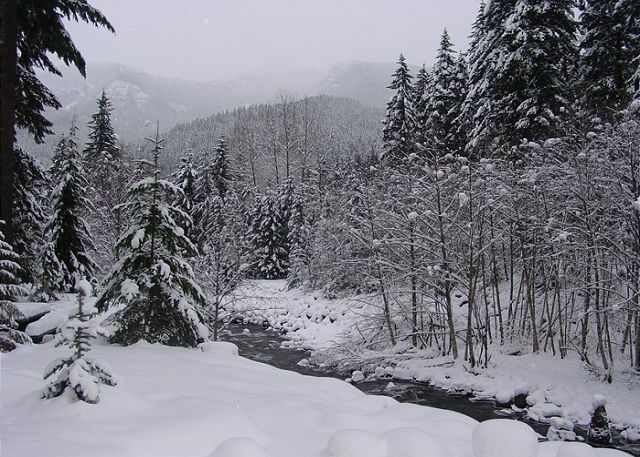 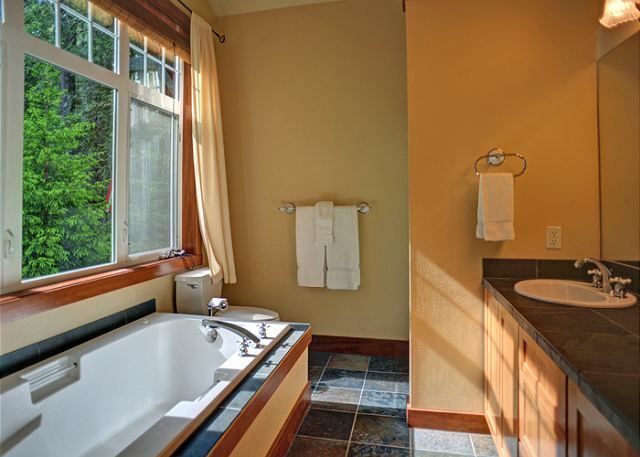 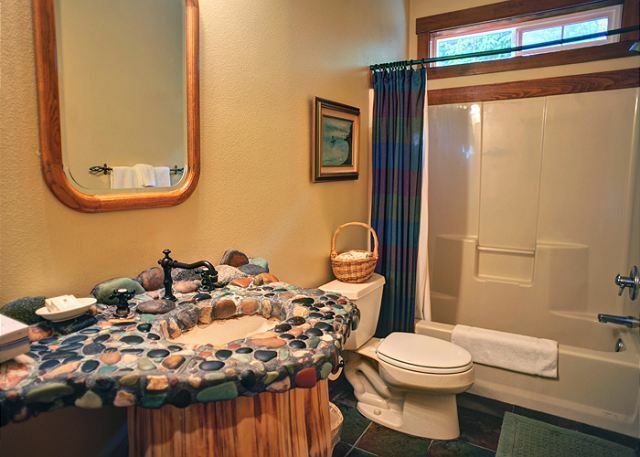 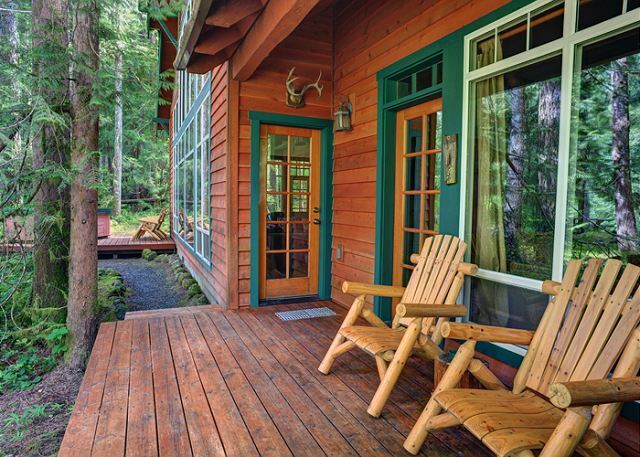 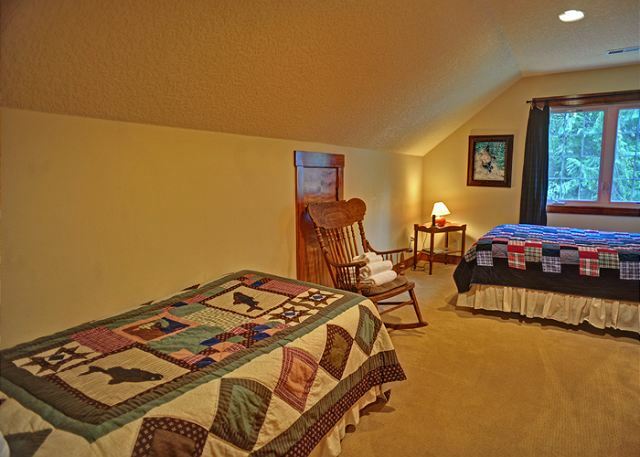 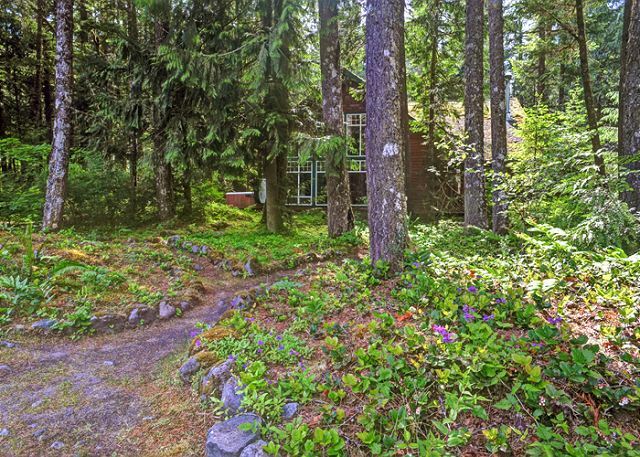 Or just enjoy a casual stroll along the quiet single-lane roads to Still Creek. 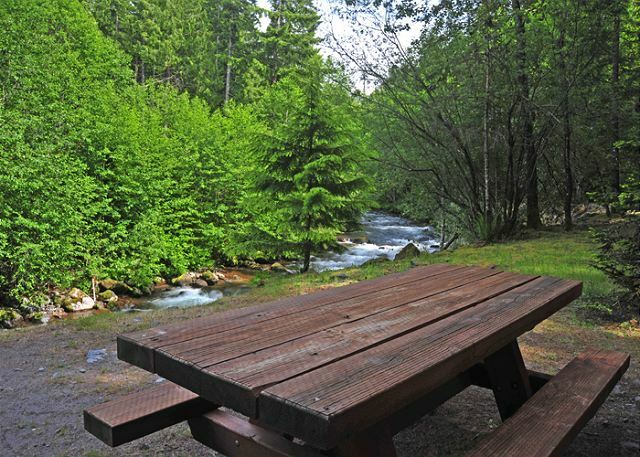 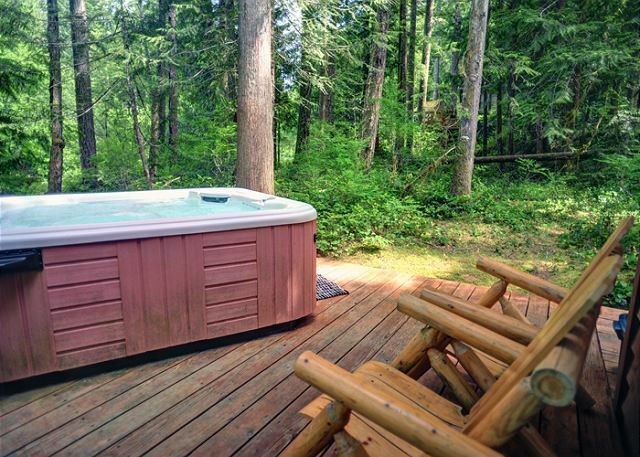 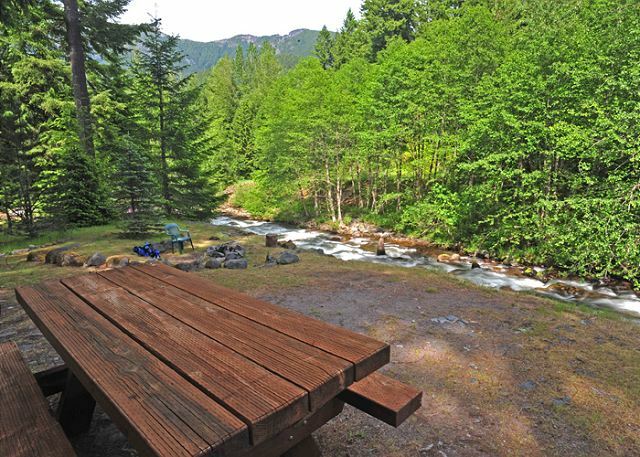 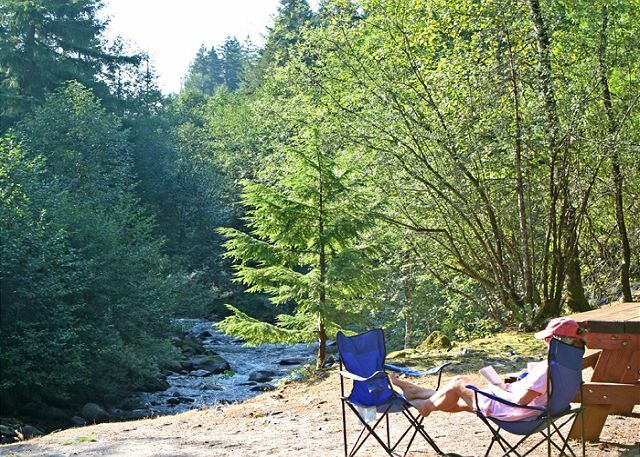 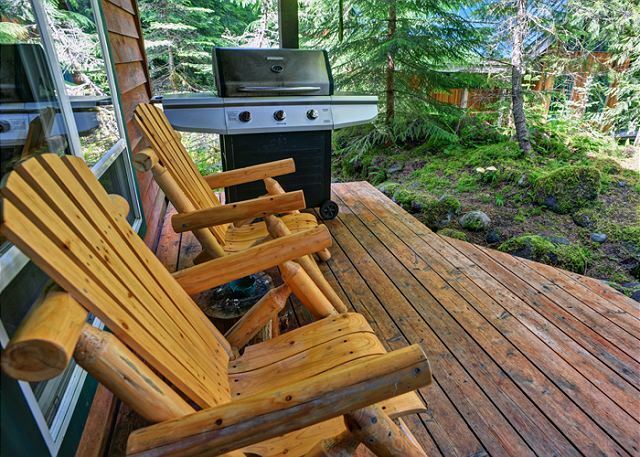 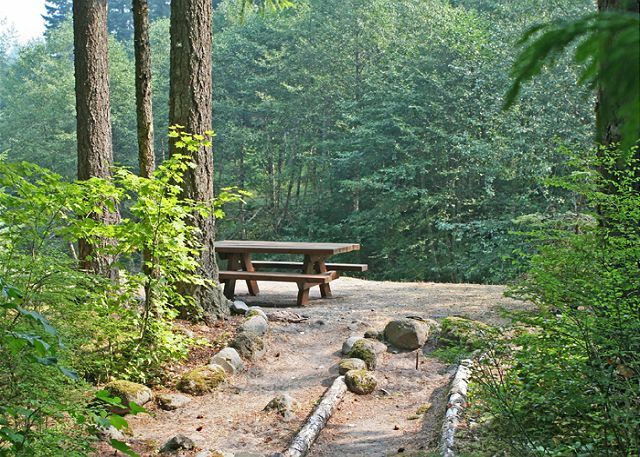 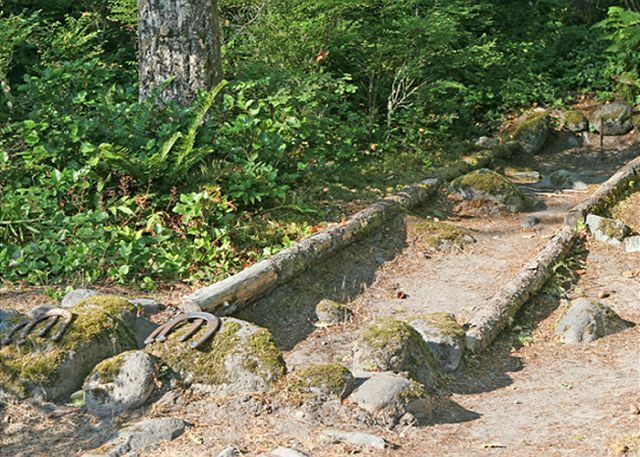 The picnic table and firepit by the Zigzag River are perfect for a BBQ dinner and telling stories around the fire in the evening after a day of adventuring around Mt Hood. 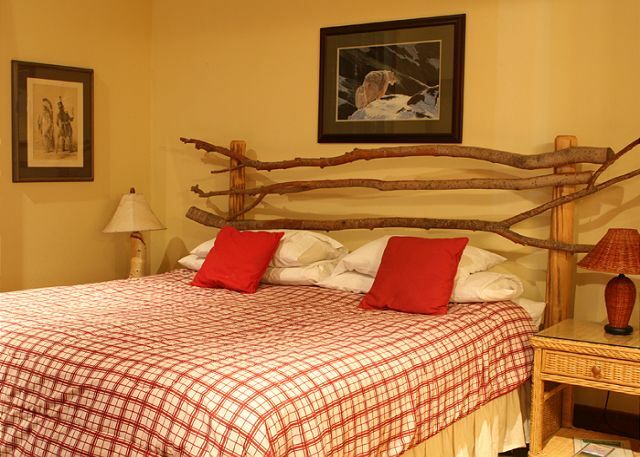 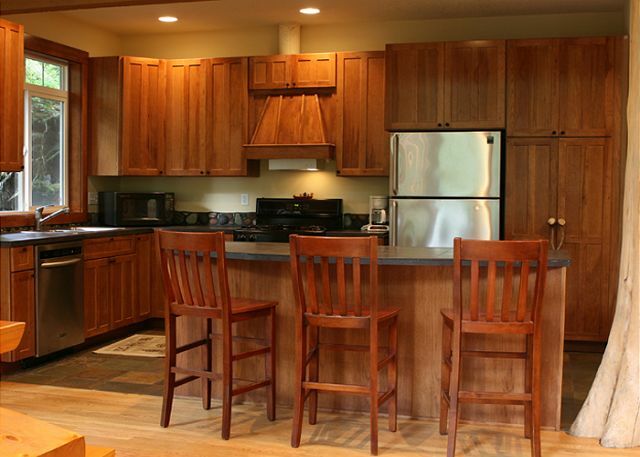 Two families will be comfortable at the River Rock Lodge with 3 bedrooms (1 king, 4 queens, 1 twin) and 2 bathrooms on 2 levels. 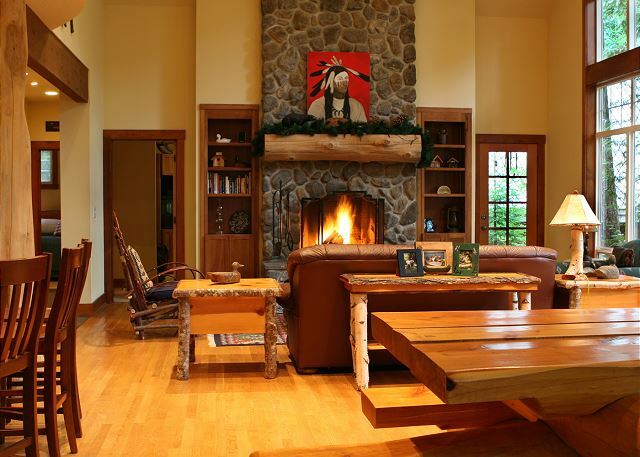 The family room is ideal for the kids to watch their favorite TV shows while the adults enjoy the great room with beverages and snacks.